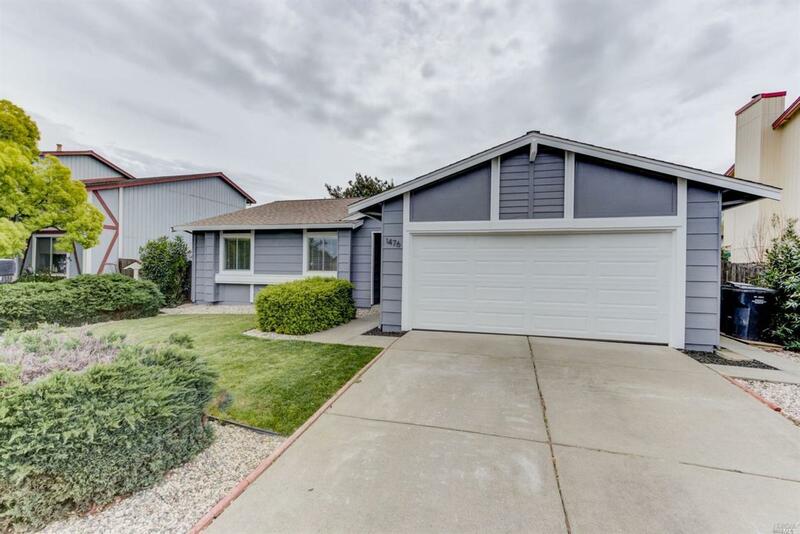 Gorgeous fully remodeled 3/2 with easy access to Hwy 12 and Travis Air Force Base. New kitchen w/ white cabinets, granite counters, & stainless steel appliances. New custom wood bamboo floors thru out, bedrooms w/ lots of closet space & both bathrooms have been completely redone with new fixtures, tile floors, vanities. Master bath has a double vanity & marble countertop. Finished walls in garage + whole home water conditioning system. Listing courtesy of Linda Giannini of Giannini Realty.